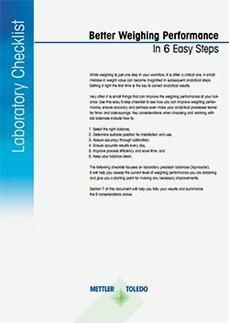 Getting your weighing results right the first time is crucial, as it saves you time and money and eliminates the need for rework. Errors caused by inaccurate weighing results, or an error in recording the weighing result cause problems because they are often difficult or impossible to trace. 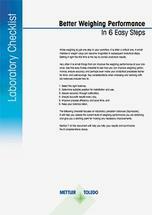 The checklist focuses on laboratory precision balances and describes simple rules that will help you to assess weighing accuracy and keep analytical results right.